It may seem simple, but it’s important to know exactly what your goals are and to use these as your starting point. It will help you to plan effectively, measure your progress, and review the impact of your program. As a coordinator, or a member of a regional group, these decisions must be made collectively. 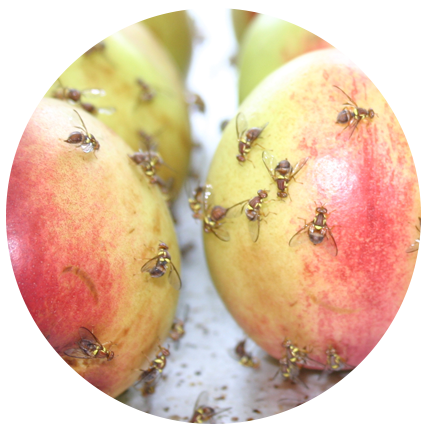 Potential benefits to consider include supressing pests, reducing damaged fruit, reducing pesticide use, or even just happy or united communities. Whatever your objective, being able to monitor the progress of your program against these objectives will help refine your approach as you go along. Therefore, objectives must be able to be evaluated and quantified in some manner. Suppressing pests is easy enough to measure through fly numbers; but if this in not the only objective of the group, consider how other goals can be measured for evaluation. For example: recording pesticide use, the number of chemical and organic traps used, or surveying backyard gardeners on how much ‘clean’, undamaged fruit and vegetables they harvest. If reducing the fly population to a level that lets you use sterile insect technique (SIT) is an objective for you, there a number of things to consider. Foremost, knowing and demonstrating trap numbers is crucial. Understanding the population dynamics of flies in your landscape over time will help you target SIT releases, because how effective such releases are will depend on the capacity of the technology, and the dynamics of the wild flies over an area over time.